You are here: Home / SEO Content Strategy / How to Create Content with a Top Tip List? Writing interesting content that’s good enough to attract the key audience is what any responsible business owner should do to keep their business going. But we want more. 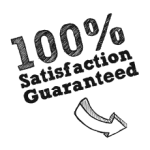 We want first time customers to be involved, astonished, hungry, always coming back for more. You own a small restaurant and the first thing you’d do to attract clients is to produce a list of quality wines and a delicious food menu with a genuine friendly customer service, right – making everyone feel like at home, and as a result people will come for more. Don’t you agree? Well, that’s exactly what you need to do with your business – create astonishing content, provide great customer service and they’ll come for more – no, there is no magic in this, just hard work. Some will say its a perceptual form of art, and I agree, but it’s one where the images are created or take shape in people’s heads by the use of words. It is therefore imperative to become aware of how you will communicate with people, how will you open their senses to ways of grasping the main essence of what you’re trying to achieve and not send them running to your competitor’s page. Where do you start? Well, first off you need attractive headings, describing main features , include how to write top ten tips to achieve success, add colour to it, whilst enticing the reader to scroll down the page, leading them to read (your service,story..) further and take some form of action at the end of it. Yes, thats the purpose of online writing – remember the restaurant’s metaphor? Describe your product, service with flavours and colours, open their senses to new flavors/ways, the ones that they’re looking for, ways that maybe only a few of your competitors have managed to do. Never take people around you for granted, get out of your daily routine, test, test and test again and get rid-off your silly habits by making a list! How to write a top list? Did you ever ask yourself why human beings love lists? I did, that’s why I am still wondering how anyone can work without one. How can you make or determine your choices? I cannot work without a list, can you? I always do a web search for similar title topics (so I make sure I never copy, even If I had same idea) and found Sir Richard Branson’s article top 10 tips for making lists – It all makes sense they way he describes it. What should you include in it? Whether, you’re writing a blog post, brochure or case study you’ll be listing anything from 5 -12 items, telling your audience how to implement or do something they need – you should be asking yourself this – How can you solve a problem? I remember many times my teachers saying build your top 5 list of whetever we were supposed to work on. 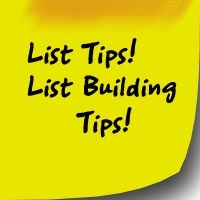 Everybody likes list, as it shows the ideas and quickly gets you to the point. Use numbers, how to, Get Free.. Always include your website url, social media icons for twitter, LinkedIn, G+..
You can also include email with topics you’re actively looking for or to discuss. When should you create a tip list? I am writing about top tip list because I didn’t find (didnt search long) any complete article about the subject and I think they’re a great way to help you plan how to promote your business. Here is how I approach it – I started 2015 with a list of articles ideas that I considered vital going forward. I list a sequence of themes, topics, things I need to focus or talk about; then break it down into top 5 priority list, whether you’re organising an event or a project you have to log phases, people and so on.. so here is why it is so important to have a list..
Organise main phases and objectives when working on client’s project. In practice, you can create a top tip list that will empower your content marketing strategy, without complicating your life. Get quickly to the point, simplify how you’ll create your content with top tip lists at the top middle section. After, you can develop or extend the one above to any extra relevant idea you find effective to build your business. So, In 2015 do not limit yourself, create, prosper and list,list, list and list again.